The government invoked a State of Emergency before the elections, and threatened to arrest opponents and interrogate popular Thai musicians performing on protest stages. Casualties from shootings and bombings so far include at least ten dead and more than 500 injured. Amid disruptions and fear, many people feel they aren’t “free” to cast ballots, while protesters fear crackdowns by police and thugs connected to the government. Millions of educated or wealthy Thais — especially in Bangkok and northern Thailand — choose to vote for Thaksin and his underlings. 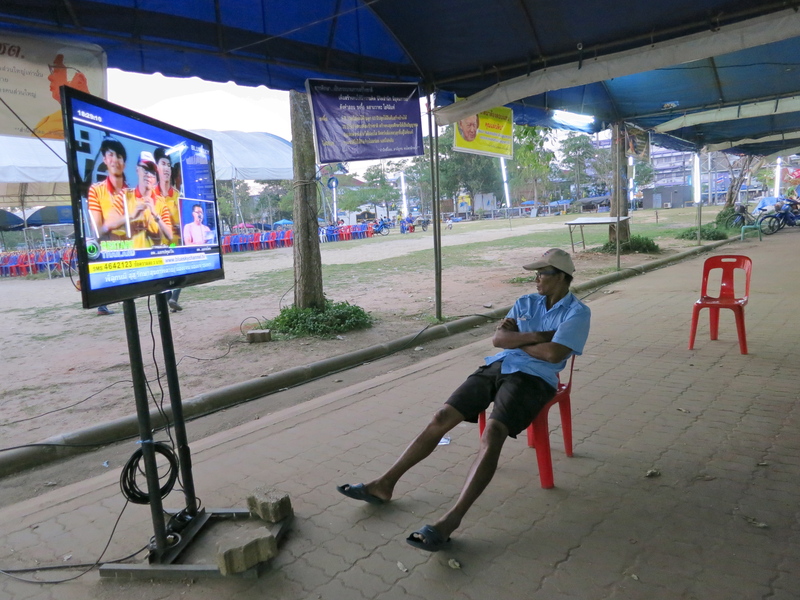 Thaksin’s parties have also honed “vote-buying” techniques (originated by other parties) of deploying canvassers, backed by corrupt police and officials, to coerce or bribe villagers into voting for them in exchange for cash payments or promises of pork-barrel spending. Villagers or headmen fear reprisals or losing a place on the gravy train if they don’t play the game. 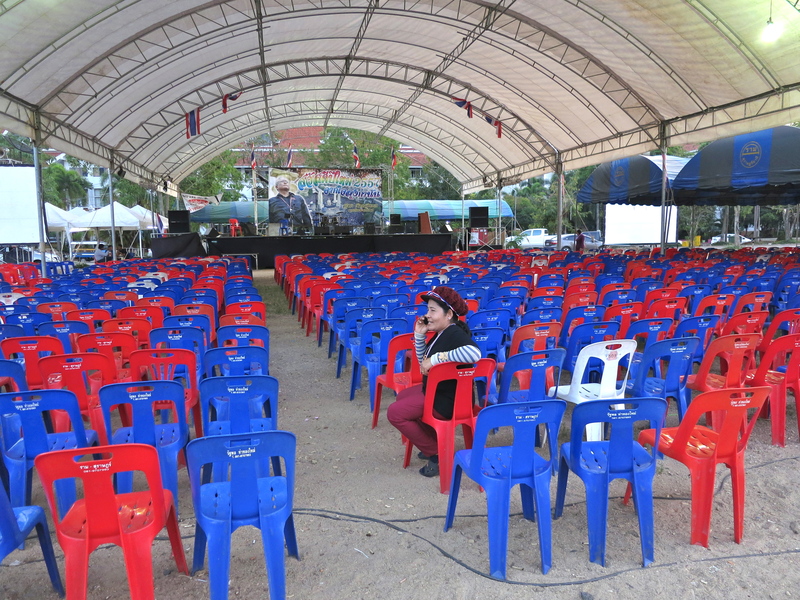 It doesn’t look good if a village takes a million baht, plus 500 baht per person, and then doesn’t elect that candidate. In a nation of 65 million people (47 million registered voters), about 15 million voted for the government in 2011. This means that 50 million other people, more than 70 percent of the population are either too young to vote, don’t vote, or didn’t give their consent to be ruled by Thaksin’s “elected” government. 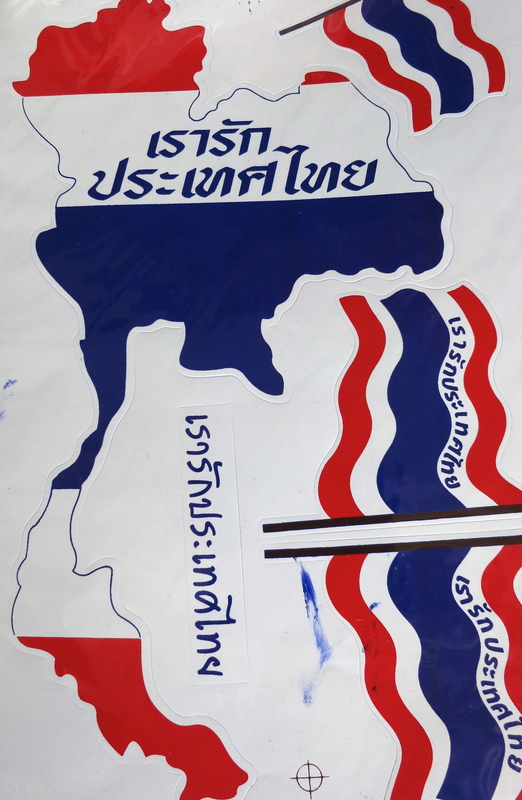 Thaksin’s parties have won every election since 2001. The opposition Democrats haven’t won since 1992. Most protesters proudly claim they are unarmed and peaceful. Yet some have chained offices or physically harassed election officials or voters hoping to cast ballots in advance. Protesters accuse the government of paying “hitmen” to shoot or lob grenades at them. Both sides blame police for doing nothing to prevent violence. Witnesses said both sides deployed armed gunmen during a prolonged shootout at Laksi near Bangkok’s older airport in Don Muang. Thaksin and his sister Yingluck repeatedly claim they “come from elections”. Protesters accuse them of being elected dictators who murder opponents, buy votes, and corrupt or sway officials and media via US and UK-based lobbyists. Suthep-led protesters say they want elections, but only after reforms to limit corrupt money politics and ensure a stronger system of check and balances. While courting support from the electorate, both sides show disdain for ideals of democracy to varying degrees. Millions of poor southern Thais despise Thaksin. Thousands of poor northern farmers are protesting against the government for not paying them about $4 billion in a failed rice price scheme which opponents call a form of vote-buying. Meanwhile in Bangkok, senior editors at the Bangkok Post, The Nation, and other newspapers support Thaksin’s Red Shirts, while their colleagues support protesters. Many Bangkok-based foreign journalists and authors complain about the noisy whistle-blowing protesters, while others join in. 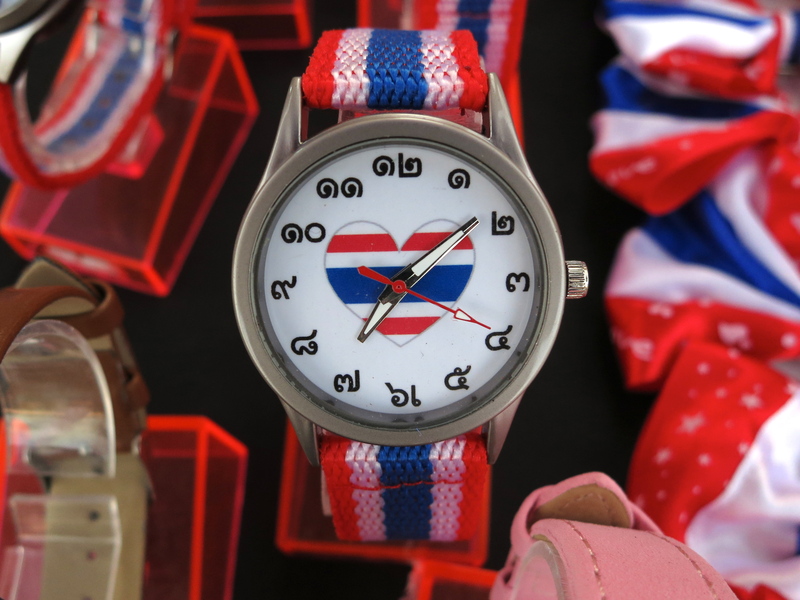 Thailand’s political division runs through many offices and families. Both sides are backed by wealthy elites and masses of poor protesters. The monarchy and military are against the government. PM Yingluck has moved her office to a military air base. A dozen helicopters were seen last week over her house in eastern Bangkok. Thaksin allegedly built a palace for the prince, and Yingluck’s government routinely pledge allegiance to the King and royal decrees. All sides court the influential monarchy, whose members try to remain above the fray in public while maneuvering behind the scenes to protect their interests. If the military and monarchy really were against Yingluck, she would already be gone. During massive floods, the Thai military regained prestige lost during the 2006 coup and 2010 crackdown on Red Shirt protesters. Another coup could damage their reputation and threaten the business of hundreds of generals who own hotels, golf courses and other businesses dependent on foreign tourism and investment. PM Yingluck’s cousin is a former Thai army chief, and many so-called “watermelon soldiers” (Red Shirts under green uniforms) are loyal to Thaksin. 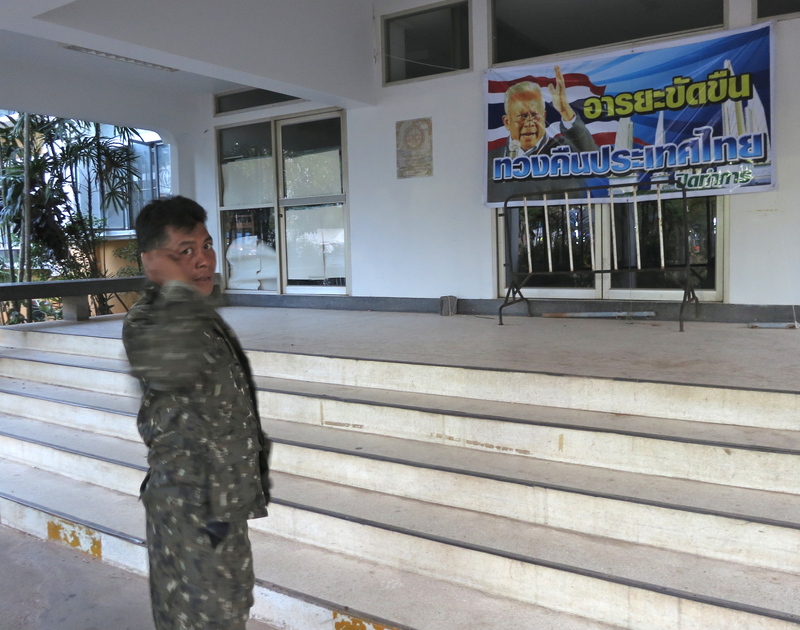 The military already has an excuse — bombings, shootings in Bangkok and upcountry — yet remain in barracks. Many soldiers, however, are on standby for deployment if the situation worsens. Though fair-skinned elites typically enjoy greater social status than dark-skinned folk, Thailand doesn’t have an Indian caste system. After droughts in the 1980s forced mass migrations into cities, especially Bangkok, millions of impoverished farmers have moved into the middle or upper classes. Open universities such as Ramkhamhaeng, royal anti-poverty initiatives and the government’s Green Isaan project in the 1980s have helped industrious Thais raise their living standards and social status. Yet millions of Burmese, Cambodians and Laos lacking rights work for below minimum wage, and impoverished Thais, especially women, remain vulnerable to loan sharks and human traffickers. 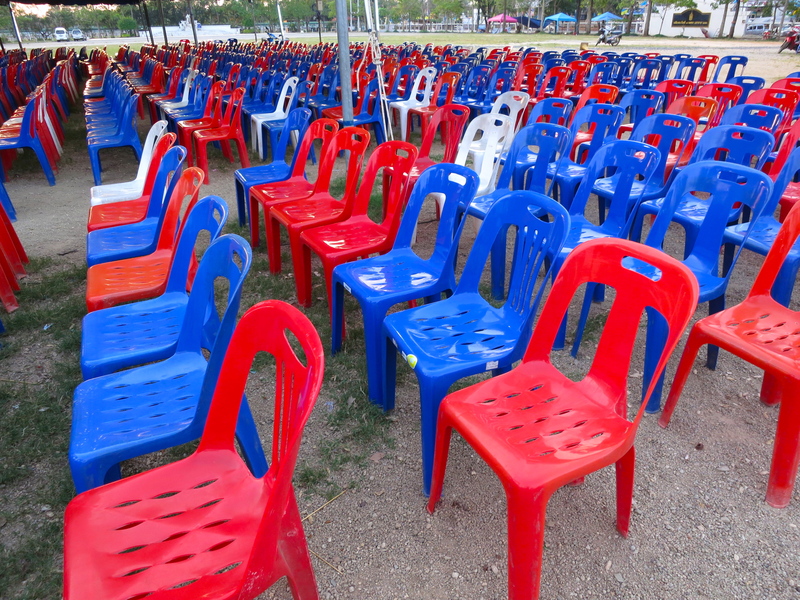 Both major parties pay villagers to attend protests in Bangkok, or give them free food at protest sites nationwide. Some say the Constitutional Court, the Anti-Corruption Commission, and the Election Commission are biased against Thaksin’s side. Others say they are doing a difficult job, trying to enforce anti-corruption laws and rules in a notoriously corrupt system with hundreds of cheaters, thugs and criminals. In nations with stronger traditions of enforcing rule of law, many politicians and their associates would have been arrested, jailed years ago, and would be unable to run in elections. 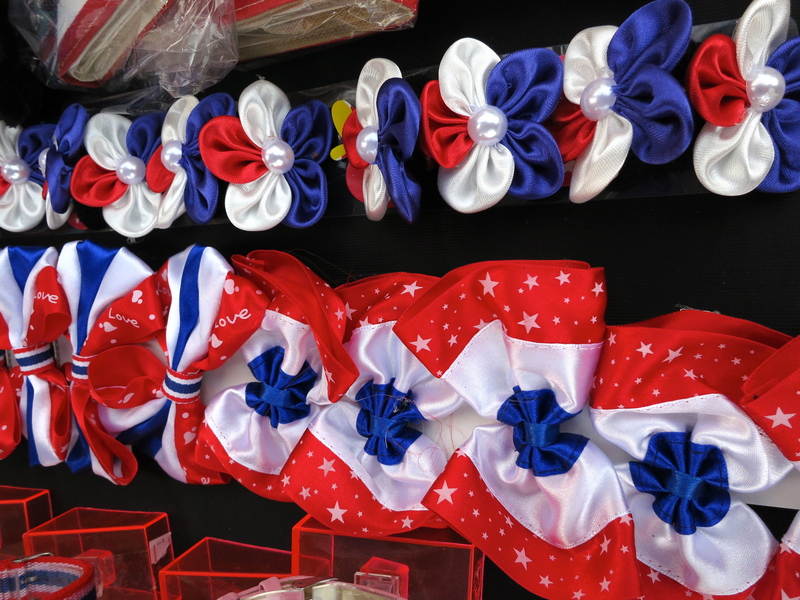 Millions of northern Thais work in Bangkok, central Thailand, and notably the popular tourist islands of southern Thailand. Attempts to partition Yugoslavia resulted in civil wars and thousands of deaths. While Thailand already suffers from a bloody conflict in the deep south, a nationwide civil war is highly unlikely in a Buddhist country, dependent on tourism and foreign trade, which didn’t experience overt colonialism and the civil conflicts of its neighbors in Vietnam, Cambodia, Laos and Myanmar. Even with its current crisis, Thailand remains one of the most safe, hospitable and stable countries in the region.